Over the last few months I’ve been breaking in a new pair of Edwin Ed80 Selvedge Jeans and trying out various ways of keeping them clean, smelling nice and in a good condition whilst looking to foster a great worn in look. So far so good in the first 131 days without a wash. This first and second picture shows the jeans as new (on the left) and as they are now on the right. You can clearly see some lightening in the depth of the indigo colour plus obvious folds, creases and light whiskers being created. 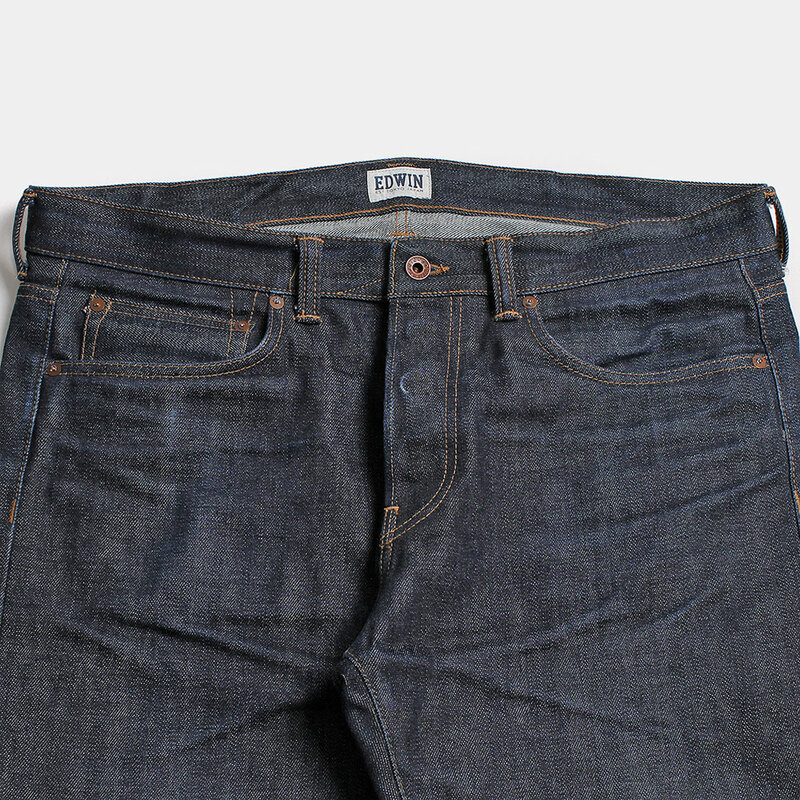 The jeans have become really comfortable having lost most of it original, rigid state. Above: Starting to get some nice wear marks were my wallet sits every day, plus keys etc. 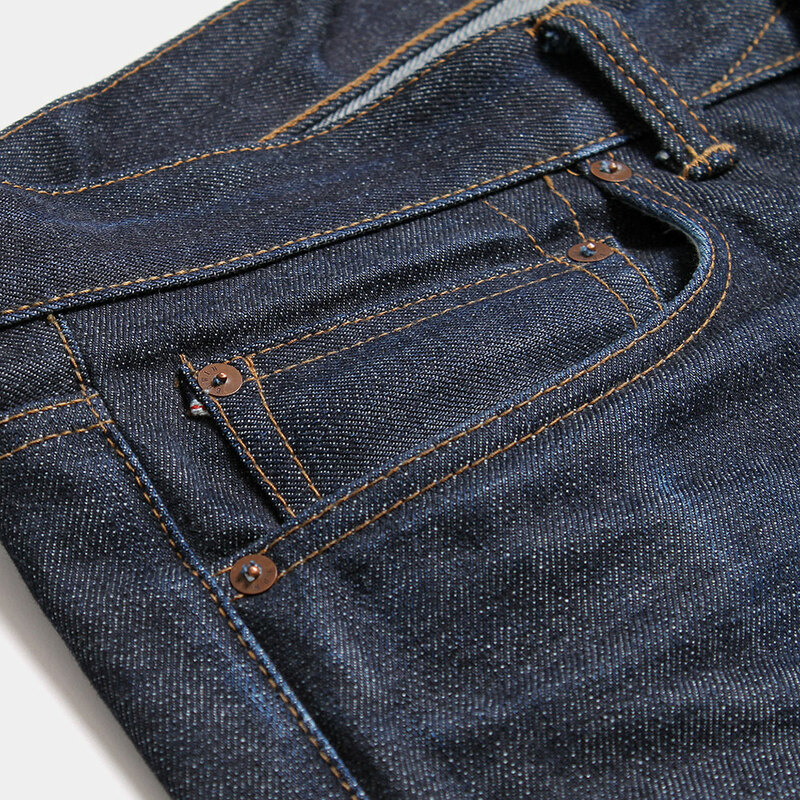 The denim is starting to lose its deep blue colour giving them a great, naturally worn in look. Notice on the picture below the brass rivets are starting to make themselves known, plus Im getting some decent light whiskers on the lap and in the pockets. If you’re still unsure on not washing a pair of jeans for 131 days then don’t be. Ive worn these a few times a week over this period, not 131 days of pure wear. So far I’ve chosen the freezer method of giving them a freshness boost. Simply put them in your freezer over night, take them out in the morning and the moisture trapped seems to give them a new lease of life as they thaw, hopefully killing any bacteria at the same time. In between this I’ve been using the excellent Mr Black Denim Refresh Spray which peps them up nicely in the fresh smell stakes. Another update to come down the line. In the meantime if you want to start your own selvedge experiment you can do worse than to start here with the same pair of Edwin jeans I’m using.